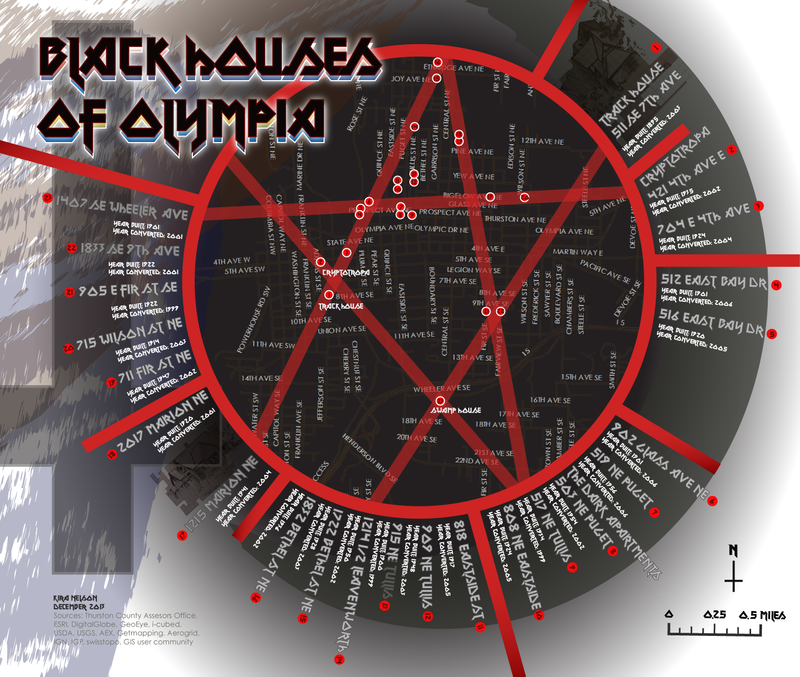 A map showing the locations of the infamous Black Houses of Olympia, Washington. 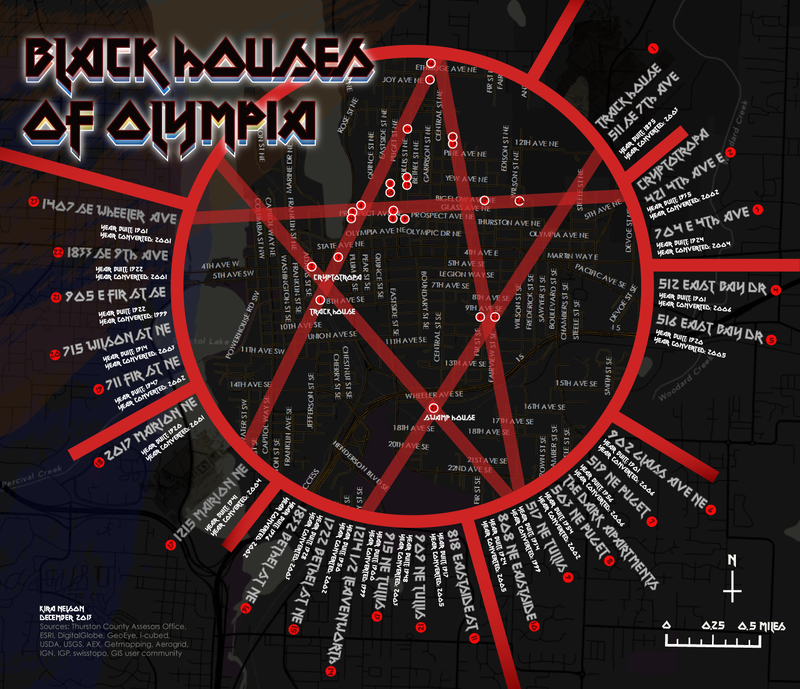 Uses data from the Thurston County Assessor's Office to prove once and for all whether the legend is true and house locations form a pentagram. The answer is... kind of. Maybe.